Taking the theme of the blending of past and present even further, a newly proposed project to build a skyscraper in Cairo, Egypt aims to reflect the majesty of the ancient pyramids of Giza by mimicking their shape and structure in modern material. 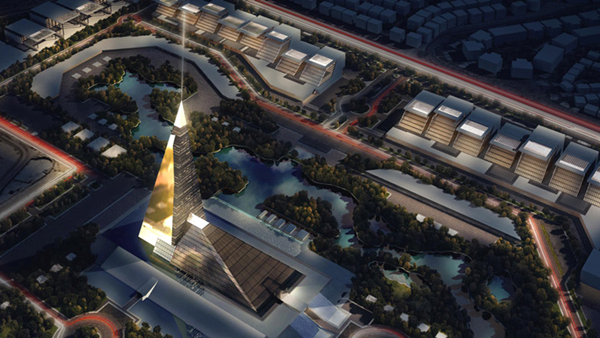 The architect’s plan is to build a 49-storey building composed of two distinct pyramids, one tall and one short — an homage to the enduring beauty of the historic pyramids, 30 miles down the road from the development site. Dezeen magazine shows us the designs for what will be the country’s tallest building, an expression of reverence for the wonders of the past.